There was a discussion on another thread, about AC/DC's Back In Black, as compared to Van Halen's Women & Children First. Two stellar albums; I had to put up a poll. In the end, as much as I love WACF, I gotta give the nod to Back In Black, even if it's an ever so slight edge. Damn, son. I want your copy of WACF. Mine does not have Women in Love, (that song is on my VH2 ) nor have I ever heard this clearly unreleased version of Pretty Girls you speak of. BiB blows goats for nickels compared to WACF. You're not gonna find much trumpage of WACF on this board, even for BiB. Actually, I could be wrong, a lotta guys underrate WACF for some strange reason. There is no finer VH than WACF, FW, and the 4 originals on DD. 22 songs. All cream of the entire crop. Last edited by Van Squalen; 01.24.19 at 10:11 PM. Women And Children First is a stellar album, but I have to go with Back In Black. What exactly is Pretty Girls? Haha. Everybody Wants Some Pretty Girls! EVERY Bon Scott AC/DC album is better than BIB. 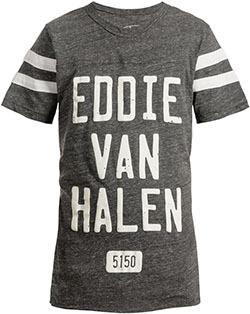 Women and Children First exemplifies everything that is great about Van Halen. For those of you not old enough to remember 1980, VH got more airplay that year from WACF than the first 2 albums did. WACF/FW is the sweet spot of VH. I enjoy about half of BIB, but as JD stated earlier, every Bon Scott ACDC album was better imo. Also.... Can't believe nobody has mentioned ROMEO DELIGHT yet.... Best song on the album. As for BiB, Hell Bells is a fantastic song. RnR Ain't Noise Pollution is also stellar. I am (unfortunately) old enough to remember 1980 and here in Southern California the only songs that really got much airplay from WACF were And the Cradle Will Rock and Everybody Wants Some!! I agree that Women And Children First is underrated; Back In Black is more an album of rock anthems. Romeo Delight, In A Simple Rhyme and Everybody Wants Some!! are the 3 best songs on WACF. Hells Bells, Shoot To Thrill and Have A Drink On Me are the best 3 songs on BIB. Back In Black for me. W&CF is one of my least fave VH albums.